I always start my Christmas decorating in the kitchen because this is where I spend most of my time. It's my favorite room in the house! Click on the photos for a closer view. 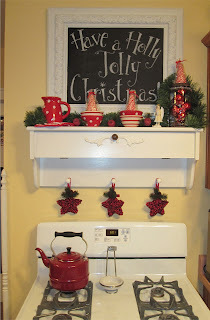 Soon it will be time to start rolling out dough and mixing up batches of yummy Christmas cookies and candy. 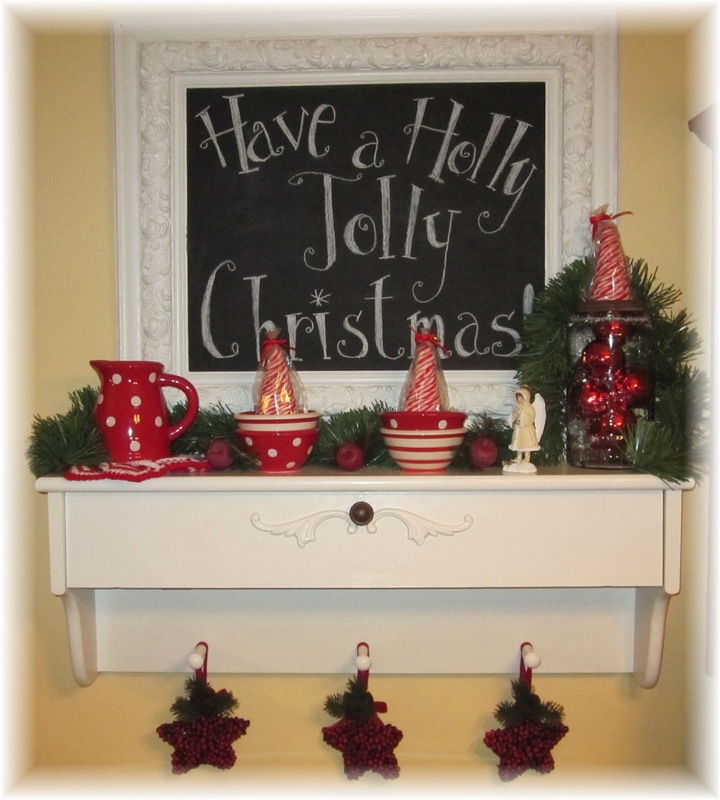 I'm so glad that I started my decorating in this room to get me in a jolly mood! I would like to thank each of you for the prayers and support for my father in law. We have now moved him to a nursing home near us where he will be going through lots and lots of therapy. Please keep him in your prayers for continued improvement. Thank you for your kind words of encouragement! So beautiful, Cathie. I love your kitchen. The red and white pottery looks great. And I love your neat handwriting. Oh if that were my kitchen it'd be my favorite spot in the house, too. So cheery and beautiful! Yes, whenever I think of your fil, I say a prayer. May he respond very well to the therapy he'll be receiving! Such a cute blackboard! 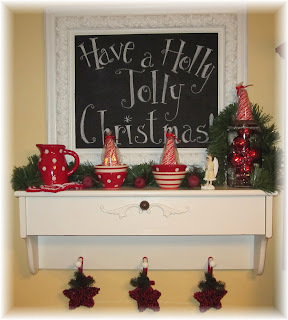 I just had my first encounter with chalkboard paint...love it! 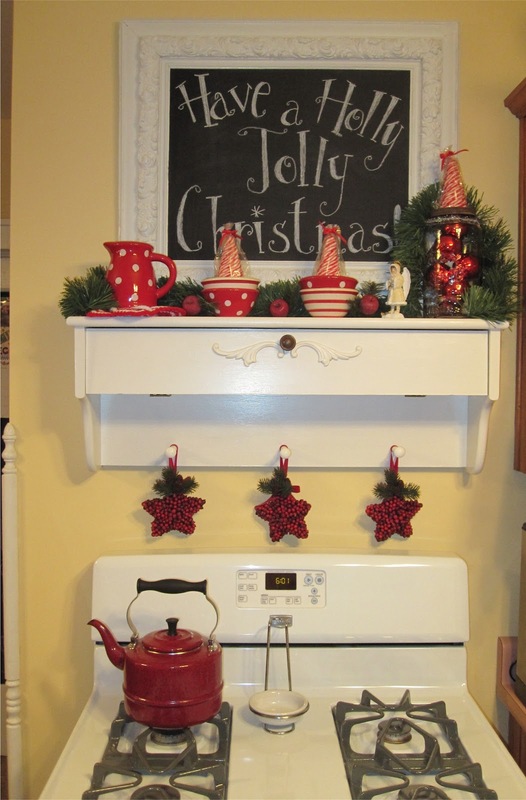 Cathie, your kitchen looks so jolly! Glad to hear your father-in-law is improving. I love that shelf in your kitchen! Prayers still coming for your father-in-law! I love reading your blog at this time of year, makes me feel all Christmassy!